Complete Guide for NEET Physics: Tips & Tricks to Solve Numericals! Many Medical students find NEET Physics section difficult since it contains a wide variety of theoretical concepts and numerical problems. Most of the NEET Aspirants have developed a habit of learning everything. This approach may help them in NEET Biology but not in NEET Physics. When you try to study Physics without having any practical edge to your preparation plan, candidates feel that they have understood all the concepts but during their examinations they won’t be able to apply the same. So, to overcome this problem below we have provided the perfect study plan and preparation tips to crack NEET Physics. So, let’s check out How to Study Physics for NEET 2019? The following weightage of the NEET Physics Chapters is from 2018 Exam. This year, NEET Physics Questions was of moderate difficulty and length. Most of the questions were based on calculations. Compared to 2017 Exam, NEET Physics 2018 was tougher and lengthier. NEET Physics 2018 had almost 50% questions which were based on calculations. Physics Preparation Tips- How to Prepare Physics for NEET? The very first step for your exam preparation is to check the NEET Physics Syllabus and Exam Pattern. You also need to be aware of the marking scheme for Physics Section in NEET Exam. According to Previous Year Papers, Mechanics, Heat & Thermodynamics, Electrodynamics and Modern Physics are the most important topics in NEET Physics. So for your Physics Preparation, you must first clear the concepts related to these topics. Once you clear all the concepts, you are now ready to follow the next step. Formulas are the backbone of Physics. Learning Formulas is the most important step while preparing NEET Physics. So, try to learn those formulas daily. Make a small diary and write all the Physics Formula for NEET. Now, you just need to revise those formulas daily, once or twice a day. For your preparation, you need to refer best Physics Books for NEET Exam. The best way to prepare for NEET Physics is to solve Previous Year Question Papers. Solving these NEET Physics Questions will help you identify the type of questions asked in the NEET Exam. It also improves your speed and accuracy. So, solve as many question papers as possible and get yourself prepared for the exam. During your NEET Physics Preparation, you need to make notes of all the important formulas, theorems and concepts. Physics Notes for NEET will help you to learn the concepts faster and will also help you in your last-minute preparation. Taking Online Mock Tests will help you identify your level of preparation that how much you have prepared for the exam. It will also help you identify your weak areas. Try to improve your weak areas. Focus more on the topics in which you are weak. Make a list of those topics and try to improve those. You must start with the most important topics of NEET Physics and after that prepare for the less important ones. Below is the table of Most Important, Important and Less Important Topics for NEET Physics. So, candidates who are preparing for NEET Exam, must start with the most important topics for Physics Preparation. It is also important to know the no. of questions asked from every chapter in the NEET Exam 2017 in Physics Section. So, below is the list of chapters from which the questions were asked in NEET Physics Exam. Questions for finding torque and Moment of inertia of regular bodies using parallel and perpendicular axes theorem is considered an important section in NEET Physics. Practice more for these types of questions. Also practice numericals based on conservation of angular momentum and rolling motion. Circular Motion questions can be easily solved by the candidates. So, do practice for those questions. Kinematics is the most important unit of NEET Physics. Most of the students find this chapter easy and interesting. Problems based on finding Range, Maximum height, Time of flight, velocity at any point on the trajectory are considered important in NEET Physics. Make notes of all important formulas, theorems and derivations. This will help you in your last-minute preparation. Clear all your concepts of displacement, acceleration, average velocity, relative velocity. Clear all your basics related to this chapter of NEET Physics. Clear all your concepts of Zeroth law of Thermodynamics, Joules law, and First law of Thermodynamics. Practice some model papers on Carnot engine – Efficiency and Coefficient of performance. Kinetic theory of gasses is the easy and simple topic and questions from this topic which can be solved easily. Modern Physics is one of the most important and scoring topic of NEET Physics. Start with the topics such as radioactive decay of substances, nuclear fission and fusion, dual nature of matter, X-rays and Bohr’s model. To clear all your basic concepts, you should refer NCERT book. For theory part, refer “Concepts of Physics by H C Verma” and for numerical problems refer “3000 Solved Problems in Physics by Schaum”. Most of the students preparing for NEET Physics get confused, whether they should go for coaching classes or should do self-study. Most candidates prefer going for coaching classes because everybody in their group is doing that too. Coaching classes today are very expensive. But to clear all the concepts, one need a proper guidance. But self-study saves your time, money and energy. So, which is the best option to prepare for NEET Physics? To answer this question below we have provided some important factors for NEET Physics Coaching vs Self-Study. Coaching institutes provide the latest Books, Syllabus, Preparation timetable, Test Series Schedule, and everything that you need during NEET Physics Preparation. But if you go for self-study, it will save lots of money and time. You may lose lots of time to figure out which should be the best book to prepare from, what are the important topics in NEET Physics etc. 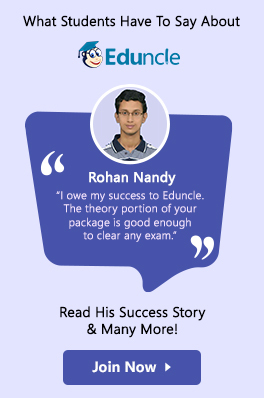 While preparing for NEET Physics, you need to clear all your doubts as soon as possible. Candidates who choose to go for coaching classes may clear all their doubts from their teachers. There are no better people than your teachers to clear your doubts. Coaching classes nowadays have become very expensive. You need to invest lots of money and time for coaching classes. Most of the candidates preparing for NEET Physics cannot go for coaching classes as it requires a huge amount of money and time. So, choosing an option what others choose is not a great idea. You should choose an option you are most comfortable in. If you are ready to invest a huge amount of money and time, then go for coaching classes. If you think you can crack NEET Physics by your own, then go for it. 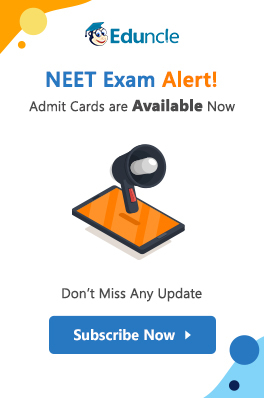 As NEET 2019 Exam is approaching closer, most of the candidates must be worried about their performance in the exam. Solving NEET Physics Previous Year Question Papers and Sample Papers is the best way to prepare for the exam. This will help you identify the exam pattern and the type of questions asked in the past year exams. This is not the right time to prepare for any new topics in NEET Physics. Instead revise all the topics which you have learnt earlier. Taking new topics in last days of your preparation may increase your stress level and would result in confusion. Start revising and practicing for the topics you have already learnt. Start taking online test series and online mock tests. This will help you to increase your speed and accuracy while solving questions. Take a healthy diet and proper sleep while preparing for NEET Physics Exam. The exam is in the scorching summers, so drink lots of water to keep your body hydrated. Avoid eating junk foods to stay fit for the exam. As most of the questions in NEET Physics are asked from NCERT books, you need to study more from your NCERT Book. Do not skip any of the topics from NCERT Book. Keep your mind clear and positive while preparing for NEET Physics Exam. Take proper rest and relax your mind. Do activities like yoga or meditation, which will help you to stay relaxed and you would prepare well for the exam. Hope, the above-mentioned preparation tips will ease out your NEET Physics Preparation and will also help you to overcome your fear for Physics subject. If you need some help or have any queries related to this article, you can ask in the comment section given below. 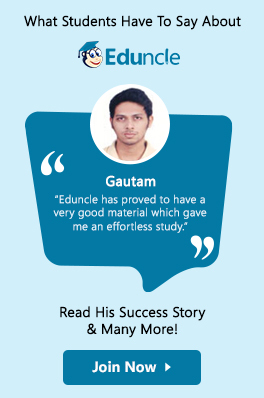 Stay updated on Eduncle for latest updates and notification.